I just finished making my own wiring harness. It was a lot more work than I expected. I tried to make it look original but did not have the cloth covered wires with the correct tracers. I did keep the colors correct. I even found some asphalt covered loom. Everything was crimped, soldered and shrink tubed. 70 year old wires and clueless previous owners who cut it up and attempted to install turn signals did not make it an easy project. After hooking it up and giving it power, she had lights for the first time in 20 years. It appears as though the brake light switch is stuck in the on position. I searched the archives and manual but could not find an answer to this question: Do I need to bleed the brakes to replace the switch? I just need to know what I’m getting into before I start. Also, the Kaiser Willys site calls for a switch with female connectors but mine are male. I’m wondering if I need a switch from an MB. I was unable to connect the front running lights. It looks like something was changed in the attempt to add turn signals. I would like to go back to original. Kaiser has a socket insert but I want to be sure it will fit. Also, I have no idea what the wire that goes into the socket assembly looks like. Anyone have an example? And the site is posting my pictures up side down again. Before you condemn the brake light switch make sure that the freeplay on the brake pedal is adjusted properly. If it is adjusted with too little freeplay, then the pressure to the service brakes does not relieve and the lights would stay on. As for the connections to the brake switch, that switch could have been changed a half a dozen times in the 70 years since it left the factory, so who knows where the switch you have now came from. unless you are going concours show quality restoration it won't matter. Use whatever hookup that works and that you are comfortable with. As long as the switch you have is good, just change the terminals. Of course it the switch is bad, then get the on that matches your harness. Both types of switches work the same way. Sometime in the past Bubba probably needed a switch and found one that worked but didn't hook up like the original. A suggestion for the pictures being upside down. Orient them in your computer upside down before you upload them to the forum and try it. It could work. Thanks for the info on the pedal travel, I did not think of that. I intend to use a switch that matches the harness I just made. I just wanted to confirm if it will work. Also, wanted to know if it needs to be bled after replacing the switch. If it does, I might just replace the hoses too. As for photos, they are correct on my computer but end up twisted around. I have even rotated them up side down before posting to trick it into making it right side up with no luck. Your grill has been modified with different sockets. The original style sockets won't fit unless you add material back to your grill. 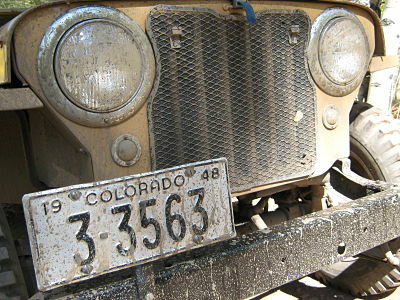 This is the only photo I have of an original grill and how it looks before modified. Thanks for the info. Not happy about the grill. Why do people have to make half assed modifications? Looks like I will see if I can make what I have work and correct the modifications when I do a full restoration. I guess I will just count on bleeding the brakes. I doubt if you will need to bleed the brakes. As Bruce said, unless you take over 24 hours to do this job, you should not need to bleed the brakes. 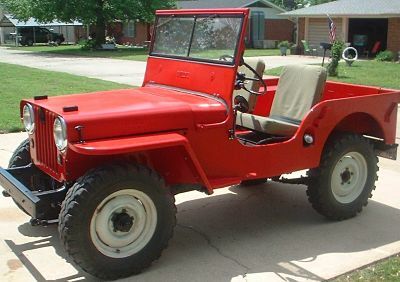 As far as the modifications, Keep in mind that in all likelihood, your Jeep is available to you, because someone did some modifications to it so that it would work for them. Otherwise they may have scrapped it. As far as that goes, back in the day, I have had to do some modifications to a few old Jeeps simply because new parts were not available. We did what we had to do to keep the old girls working. There were at least 3 Jeeps, located in the PNW, that I installed Rambler front turn signals on so that the state would let us continue to drive them at night. They required both park lights & turn signals. I probably had to modify the grill to get the Rambler parts to fit. Oh yeah, I also had to install a second tail light, & rear turn signals as well. IIRC, I replace the original tail light with some trailer tail light / turn signal assemblys. If that offends anyone, so be it. I have done two rotisserie restorations. I have made some modifications but do them in a way that the vehicle can be easily restored to original and kept the original parts if I removed them. I take extra care to do it right with the idea that I am just the temporary caretaker. 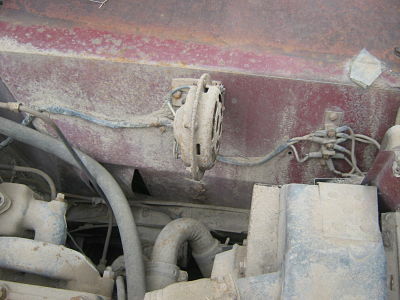 I guess that was the voice of frustration in spending days undoing messed up wiring on this vehicle. To see them cut up the body too was a bit much. Plus, I already ordered new sockets. Other than the monster Belleview winch up front and one patch panel, this old girl is remarkably original. I'm sure that the repair will just take a bit of time with the welder. So, I shouldn't complain. I had to make the same repairs on mine to use original light sockets, used sections cut out from a damaged grill, it was an easy repair. It looks like you have some extra holes in that area that need filled while you are there. Where did you find original type sockets? I seen on here that several of the members make modifications for their parking lights to meet their need. Quite honestly, I don't think I would be so quick to revert back to the original sockets. Your current set up would allow you to have a completely stock look, and also the flexibility to have turns signals if you decide to. This grill looks stock, but has been converted to accept turn signals...just like yours. With your current set up, you can use the single filament version of this bulb. If you want to add signals, you'll need to buy the dual filament bulb socket...available on the rack at most auto parts stores. Ultimately, it's your time and money. Just offering an easy option. Not being a purist, I am with Athhawk11 on this one. Easy & has the ability to add turn signals if desired. 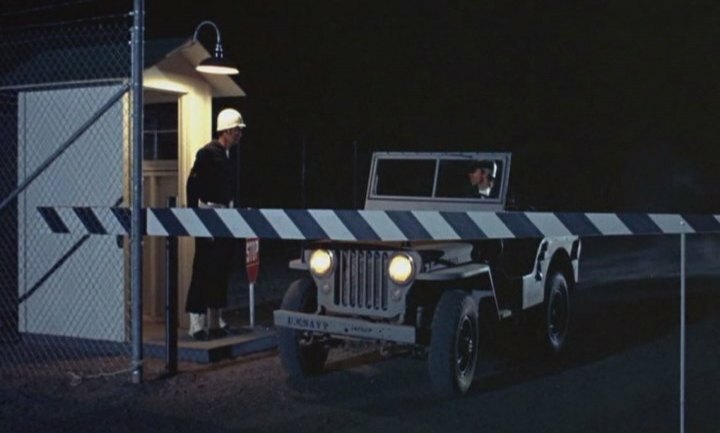 Heck, unless you told them, even the Jeep Police would not know. I believe that the three holes around the outside of the socket is so someone could install larger lenses. Back in the day, one could not find original lenses, so they went to the FLAPS & bought lenses that would clear the bulbs & installed them. It was not original, but they were driving the Jeep. cpt logger said, "Not being a purist, I am with Athhawk11 on this one." I'm going to install the bulbs and lenses with the existing sockets for now. Maybe someday I will get her back to stock. Can someone post a photo of how the headlight and running light harnesses are routed? I'm not sure if I have them correct since they were cut by the previous owner. There is another member who posted looking for harness photos who got no replies. Maybe someone can help him out too. As you can see, I get a little crazy on the details. I'm use to concourse restorations when the wrong finish on a bolt cost points. Most people can't tell the modifications I have done. Maybe this will help, while I look for more. I know I have some. If I need to, I'll re-take them for you. Ah, nice one, Tim. I have one similar to that, that I was looking for, and can't find it. Thanks guys, I had it wrong. I had everything going underneath. In hindsight, I should have wrapped the loom from the firewall to the three pin distribution block. I ran out of asphalt conduit. For the headlights, I reused the section from the brake light switch to the tail lights. It was in pretty good shape after 70 years. Are the parking lights wrapped or just bare wires? Tim, I would like to do a similar restoration on this one. Right now, I just want to get her going and have some fun with it. You do nice work. Is that a standard color for the headlight buckets? Mine looked to be black. Thanks Micah. As Bruce mentions, the original harness took just the passenger side park light wire across the lower part of the grill. This was originally housed in a small single wire sized loom and was held in place with a couple clips. The harness shown is a Walck’s reproduction (very nice) that included wiring for turn signals. Because of the extra wire required for signals, it probably wouldn’t fit going across the bottom. They build their harnesses with the park light/signal wires up in the same loom that goes to the passenger side headlight. The original headlight bucket color is often described as Cochran Brown. I don’t know if this is “official” terminology for the color, but some out there have worked very hard to find a match for the original. It is suppose to be a very dark brown color that may be closer to black than a traditional Hershey brown. Mine are just a simple, off the shelf Rustoleum brown. Maybe called Walnut or something similar. They are not the exact color, but I did try to honor the original intent.